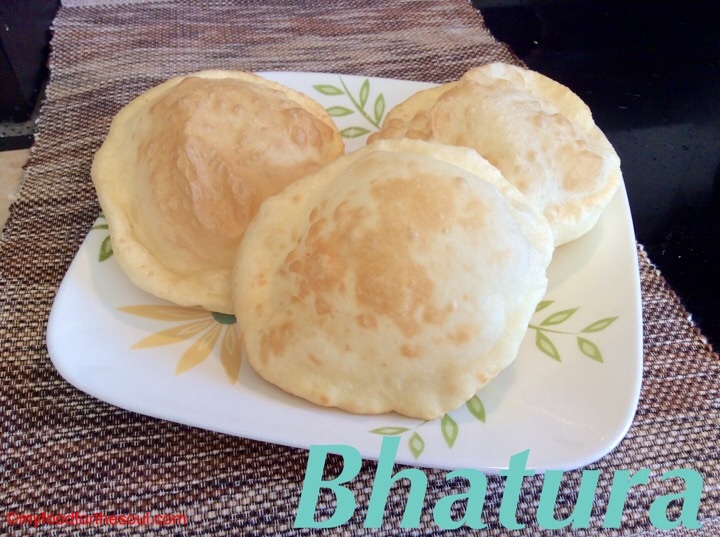 Bhatura is a fluffy deep-fried leavened bread from North India it’s a Punjabi Vegetarian recipe. It’s often eaten with “Chole” a Chick Peas Curry also known as Channe and a side order of pickle onions. 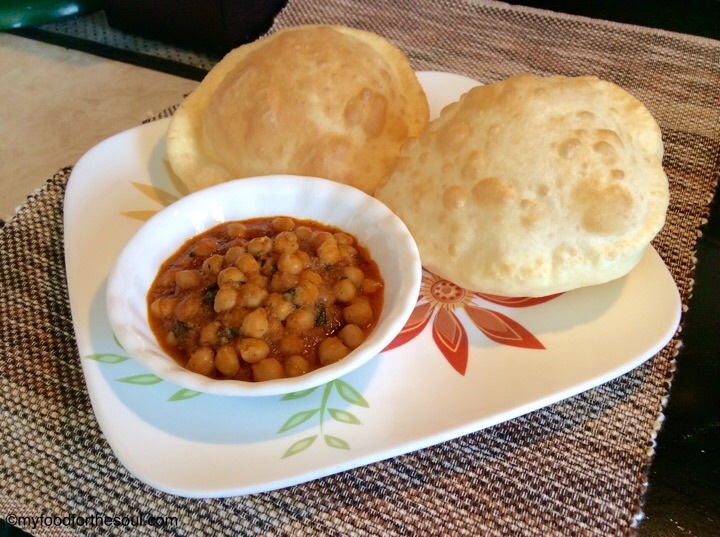 This dish is traditionally called Chole Bhature. This recipe has no “Yeast” I made it using baking powder and the results were the same. Bhatura is made with white flour (maida or all-purpose flour), yogurt, oil and either yeast or baking powder. 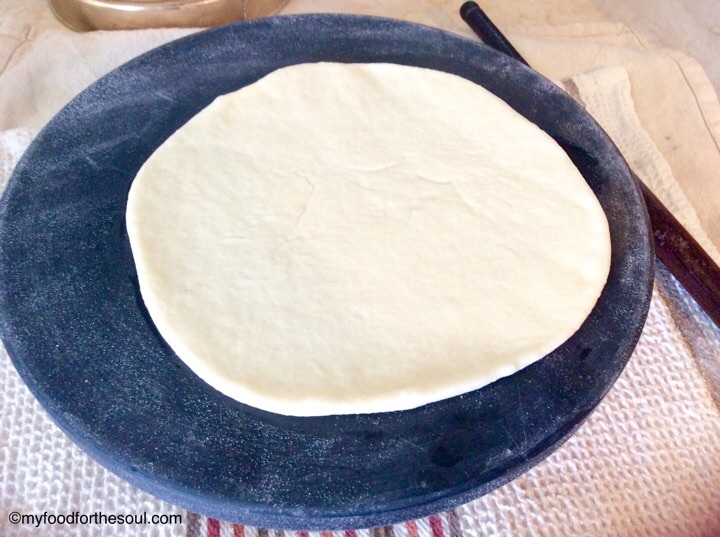 The dough does need to be made ahead of time and left for rising, and then rolled out ….just like “Roti” but not too thin. Then the bhatura’s are deep-fried in oil until they puff up into a light brown, soft, fluffy bread. Bhatura’s are soft, elastic and chewy. Just like the Roti, Chapati, Phulka …..Bhatura takes a lot of practice and patience’s before it can be perfected. I have practiced and tried many different ways to make these Bhatura’s …..but have finally found the perfect recipe that works for me every time. This is all time favorite in my house with my kids. When the bhatura’s are served with chole, it makes a complete meal and is totally filling. 1. Combine all the ingredients (except oil for deep-frying) and make a soft dough. The dough should not be too hard or too soft on touch. Cover with a wet cheesecloth and keep aside for at least 3 to 4 hours. 2. Pinch off some dough and make lemon sized balls and roll into thick round shaped roti’s. It should not be too thick or too thin. 3. Heat enough oil for deep frying in a heavy bottomed vessel. Once the oil is hot, reduce flame to medium high, slide the bhatura into the hot oil. Using the back of the ladle, press in the center and along the edges and you will find it will puff. Flip over and fry the other side till light golden brown. The bhatura should cook on the inside and puff up. Remove on to paper towel so the excessive oil will be absorbed. 4. Serve hot with chole, sliced fresh onions or pickled onions (onions sliced with a little bit lime juice, salt and red chili powder). 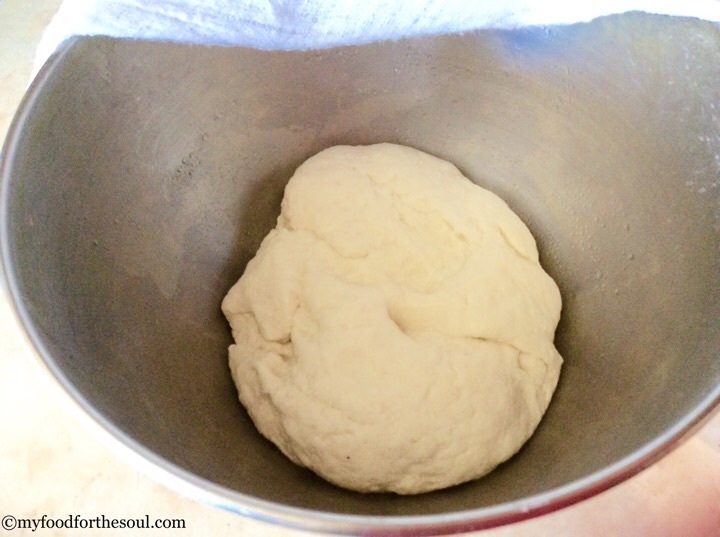 Combine all the ingredients (except oil for deep frying) and make a soft dough. The dough should not be too hard or too soft on touch. Cover with a wet cheesecloth and keep aside for at least 3 to 4 hrs. 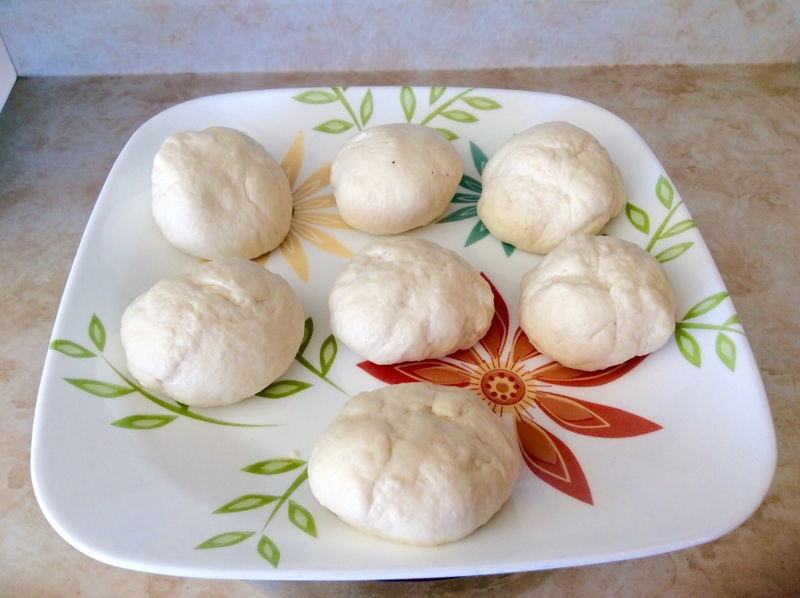 Pinch off some dough and make lemon sized balls and roll into thick round shaped roti's. It should not be too thick or too thin. Heat enough oil for deep frying in a heavy bottomed vessel. Once the oil is hot, reduce flame to medium high, slide the bhatura into the hot oil. Using the back of the ladle, press in the center and along the edges and you will find it will puff. Flip over and fry the other side till light golden brown. The bhatura should cook on the inside and puff up. Remove on to paper towel so the excessive oil will be absorbed. Serve hot with chole, sliced fresh onions or pickled onions (onions sliced with a little bit lime juice, salt and red chili powder). Ensure the oil is hot enough before frying the bhatura. 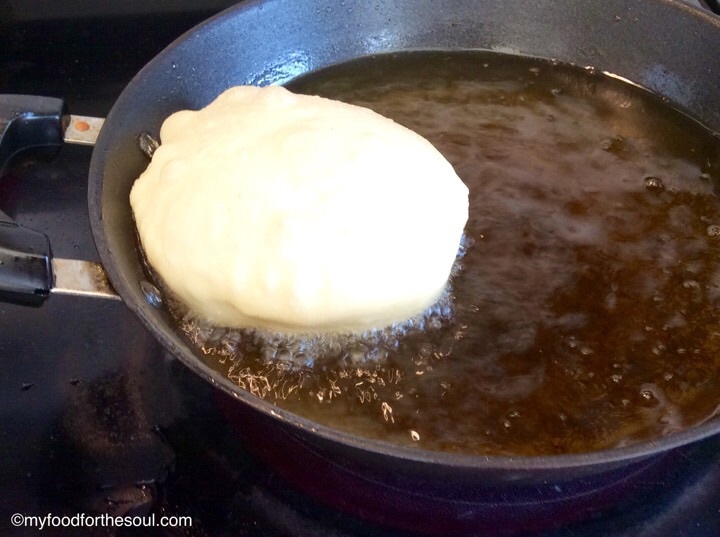 If the oil is not hot enough you will find that the batura will absorb a lot of oil and they will not fluff up. Also make sure that the oil is not smoking hot because soon as you place the bhatura into the hot oil, it will turn dark instead of a golden shade.